Mother Nature seems to be giving wine country and California one last gift of rain this weekend . Thank goodness, we need all the precipitation we can receive. 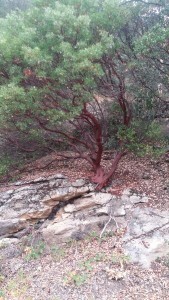 The Manzanita pictured here is uniquely adapted to California’s semi-arid environment. Its a gorgeous small tree or shrub, very hardy and reflects nicely our rugged landscape and natural terroir. The Coastal Redwood pictured too is a majestic and awe inspiring tree also unique to California with a range stretching from just below Oregon to Big Sur just south of Monterey. It thrives on water and is even capable of capturing moisture from coastal fog. Many of the farthest eastern, natural stands of Coastal Redwoods are found in the very deep canyons on the east side of Napa Valley, and east of the very well watered plateau where Angwin above St Helena is located. One more reason to keep the splendor of Napa Valley’s vineyards, pictured here looking down from Spring Mountain in perspective. Its all about balance right? And not just in our glass but the natural environment too. 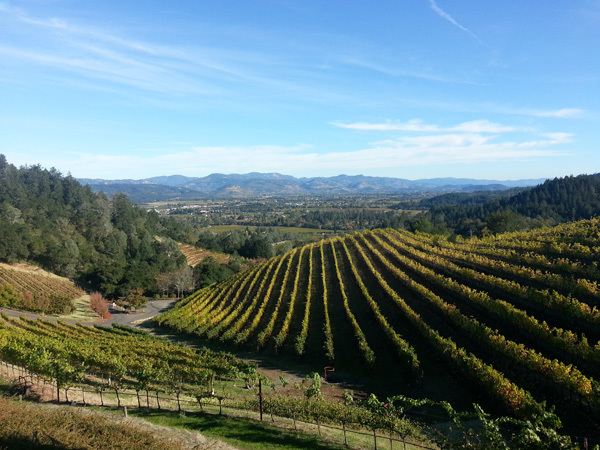 Travel with me and share not just my rich appreciation and background in both food and wine, but my love of Napa’s natural physical beauty too.